Breakfast is the most important meal of the day. Some might argue it should be every meal of the day. And while there are plenty of dedicated cereal restaurants (hell, there's even this chain) in the US, there are none in the UK. Count 'em, none. Which is why Belfast-born, London-based identical twins and cereal enthusiasts, Alan and Gary Keeny, want to open the city's first. And call it -- get this -- the Cereal Killer Cafe. How grrrrrrrreeeeeeeat is that? The cleverly monikered East London cafe will serve more than 100 varieties of cereal (the majority of which will be British and American favorites), 12 (!!) types of milk, and fresh fruit/candy toppings. Cereal will be served in small ($4), medium ($5.07), or large ($5.89) bowls, and customers can also order sides of Pop Tarts or toast. 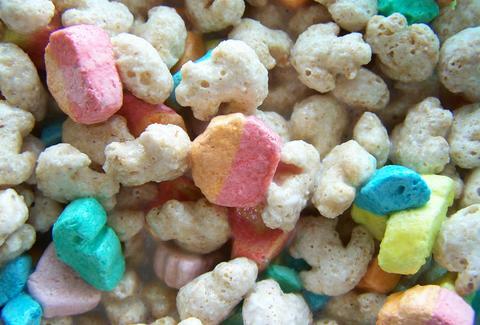 In addition, they also plan to serve a selection of "cereal cocktails", including one dubbed the Peanut Butter Jelly Time that blends Reese's Puffs, peanut butter Cheerios, and peanut M&Ms, all doused in strawberry milk. Eating cereal's only half the experience, though. Customers will enjoy their wondercluster mashups in an appropriately vintage environment kitted out with discontinued cereal boxes, childhood memorabilia like bike reflectors and toys, and a heap of TVs showing your favorite '90s cartoons. Now, there's one slight catch: While the twins have self-funded $33,680 (£20k) of the project, the've only made a $1,372 (£815) dent in their $101,040 (£60,000) Indiegogo goal. Which means that if you live in London, love cereal, or just want to watch the video below and hook two fast-talking Irish brothers up, you can donate right here. Chloe Pantazi is an editorial assistant on Thrillist's travel team. She once refused to eat her cereal as a child and the bowl ended up over her head. Now she finishes all her cereal, and adheres to a healthy diet of Coco Pops and Lucky Charms. Follow her on Twitter at @ChloePantazi.